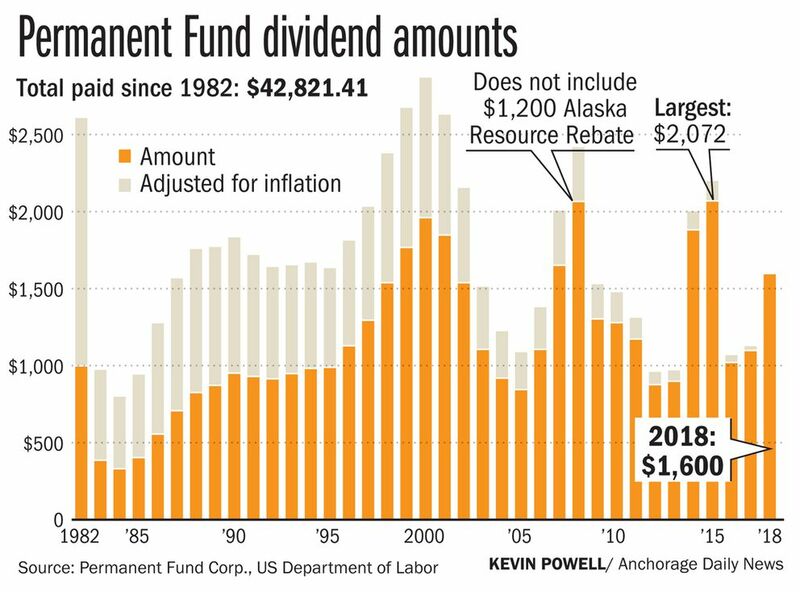 So … about those super-sized Permanent Fund dividend checks? 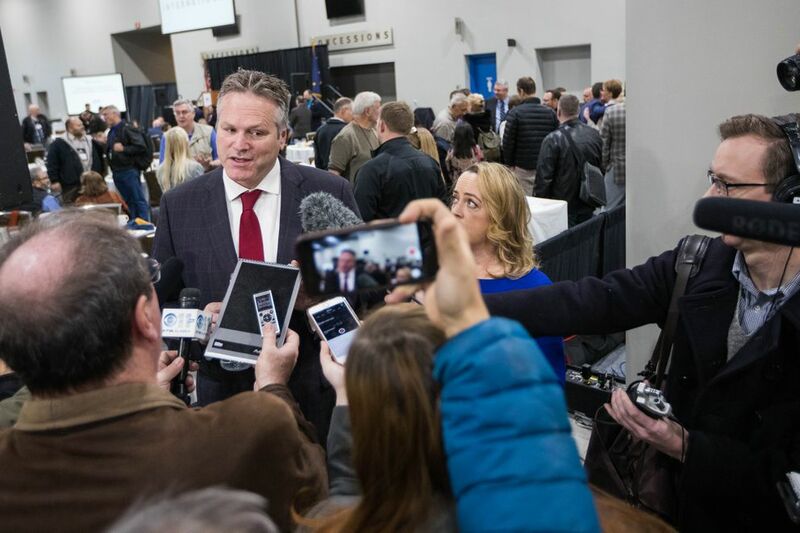 The details are still being worked out, but governor-elect Mike Dunleavy says his dividend plan "is going to be rolled out pretty quick." Dunleavy — who won a lopsided victory Tuesday — promised on the campaign trail to “pay Alaskans back the money owed to them after three years of dividend cuts.” Specifically, Dunleavy’s campaign said that if elected, he would make up for reduced dividend payments from 2016, 2017 and 2018. The repayments would total $3,733 per eligible Alaskan, money that would come in addition to the regular dividend payment. Critics saw the plan as shortsighted, given that reduced dividends were part of an effort to build a long-term financial plan for funding government services like public safety and stabilizing the state credit rating. Dunleavy, a Republican, said the traditional dividend program should not have been touched without voter approval. What happens now? When would the state make those payments? In short: Don't spend that money yet. We don't know exactly when the money would be paid — and Dunleavy doesn't know, because some of the timing decisions may depend on the Alaska Legislature, which doesn't meet until January. The governor-elect answered several questions on the topic in a short Q&A session with reporters Thursday in Anchorage, after he spoke to the Alaska Miners Association. Here’s everything he said about the dividend, including a reference to somehow putting state land into private hands — plus the big questions that remain. Q: What is the time frame for what you mentioned during the campaign on paying Alaskans back for years of dividends? Dunleavy: "That's part of our process. Early on, we're going to develop an approach to make sure that that happens. So as we go into the opening of the session (in January) we'll have that rolled out." Q: Just to be clear … should people expect an extra large dividend in 2019? Dunleavy: "People should expect, the historical calculation that went on for decades prior to (SB 26) is going to be the dividend." Q: How are you going to pay for that? Dunleavy: "$19 billion in the (earnings reserve account). That's how you pay for that." Q: Someone was saying that the PFD might come in land as opposed to cash? Dunleavy: "My goal is that the PFD is paid in cash. We are working on some ideas regarding land. We have 100 million acres of land, very little of it's in private hands. We've got to make a decision as a state as to what we want to do with our own state land." Q: That would be separate from the PFD? Dunleavy: "Yeah, and you'll see things rolled out on land as well." Dunleavy takes office Dec. 3. Asked if there is any scenario where the state could issue a dividend-related payout before the end of the year, Department of Revenue Commissioner Sheldon Fisher said, "I'm not going to say it's impossible." "There would have to be a legislative session to appropriate that," Fisher said. New legislative terms do not begin until the third Tuesday in January following a gubernatorial election. The Daily News reached out to a Dunleavy spokesperson Thursday afternoon to further clarify the incoming governor's dividend plans. Among the questions that remain: Will the "make good" payment to Alaskans regarding three years of reduced dividends total $3,733, as the Dunleavy campaign previously told the Daily News? And when combined with the traditional dividend payment, is the total 2019 check expected to be about $6,700 per person? Is fall 2019 the earliest that people would receive that payment? A spokeswoman said that it’s too soon to know some of the granular details like the method and date of payments.